Hoi An, Vietnam, 2018-Jul-17 — /Travel PR News/ — Four Seasons Resort The Nam Hai, Hoi An, Vietnam has been placed in Travel + Leisure’s Top 100 Hotels in the World 2018, the only Vietnamese property to feature in the prestigious annual list voted by Travel + Leisure readers – the globetrotter’s guide to the hottest destinations and hotels. Four Seasons Resort The Nam Hai captures the soul of Vietnam and illuminates the spirit of all who visit. Dedicated to coast, culture and community – with an unswerving desire to connect guests to the diverse delights of central Vietnam – the Resort’s luxuriant grounds include a kilometre-stretch of one of the world’s best beaches and vast tropical gardens sculpted by some 4,500 palm trees. 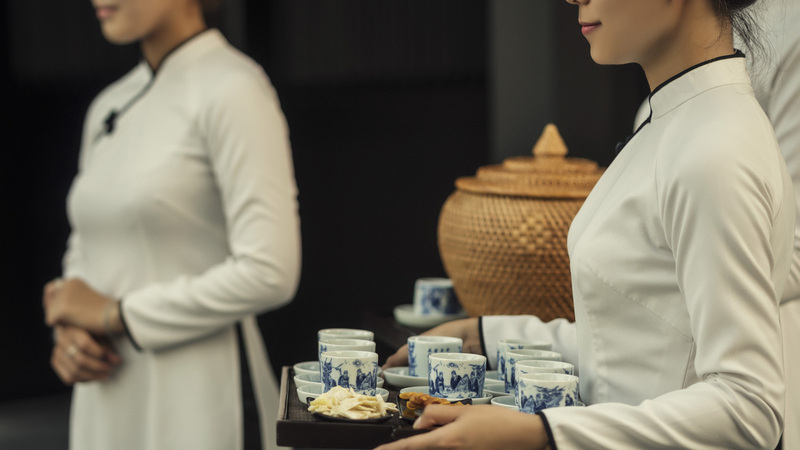 Guests can visit the former fishing village’s onsite temple, create authentic Vietnamese dishes in The Nam Hai Cooking Academy (served by the Resort’s herb and vegetable farm), and experience the powerful healing of Zen Master inspired treatments and crystal singing bowls at The Heart of the Earth Spa. Beyond its sleek and stylish Phong Thuy (Feng Shui) surrounds, the Resort is also a gateway to three extraordinary UNESCO sites: the enchanting lantern-lit enclave of Hoi An, the temple-strewn sanctuary of My Son, and the towering pagodas and vast tomb complexes of The Imperial City of Hue. To book a stay at Vietnam’s leading seaside sanctuary, contact +84 235 394 0000 or reserve online. This entry was posted in Hotels, Luxury, Resorts, Travel, Travel Awards, Travelers and tagged Anthony Gill, awards, Four Seasons Resort, Hoi An, The Nam Hai, Vietnam. Bookmark the permalink.